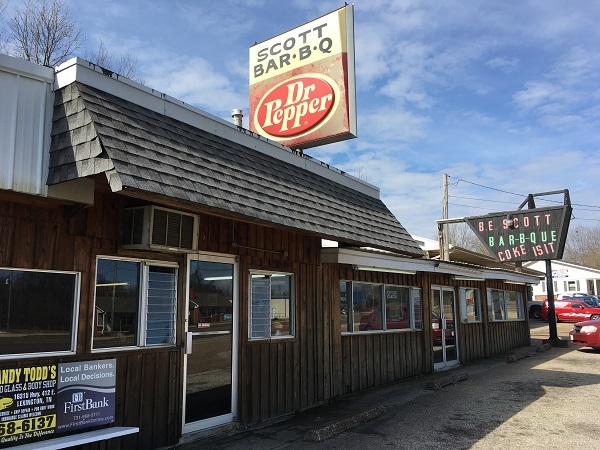 Scott’s-Parker Bar-B-Q, Lexington TN – Marie, Let's Eat! In March, we drove to Memphis for a three-day visit. On the way out there, we detoured to have lunch at one of the most celebrated barbecue restaurants in Tennessee, and it really lived up to the hype. 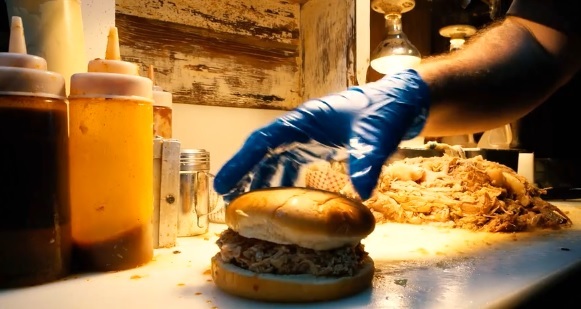 If you’re anything like me when it comes to the hobby of barbecue, then you may hear about a restaurant many times in many places but there’s often one critical hit that comes through and makes you want to go to the joint right this very minute. I don’t know how many times I’d seen a reference to the restaurant that started life as B.E. Scott’s many years back, but last year, Touchstone Books released Rien Fertel’s book The One True Barbecue. You can read my overview of this book here, if you like. It’s absolutely one of the best books on the subject I’ve read. Ricky Parker, who had purchased B.E. Scott’s, passed away during the time that Fertel was researching and interviewing for his book. His son Zach runs the place now, holding true to the tradition of cooking whole hogs rather than shoulders or hams. This is unusual anywhere, but especially in west Tennessee, which is many hours away from the celebrated whole hog restaurants in North Carolina that are east of I-95. 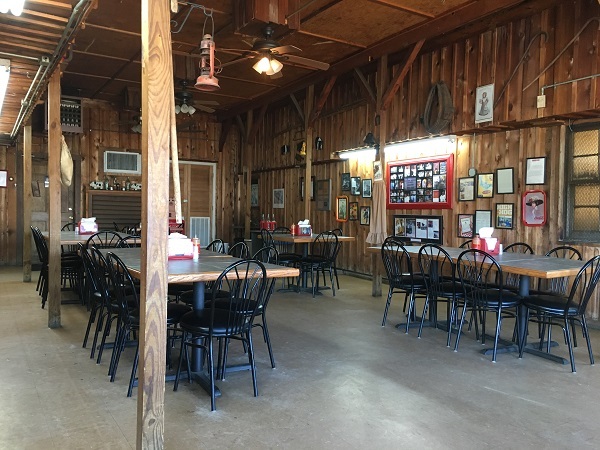 After Fertel began working on the book, a restaurant 25 miles away in Henderson called Siler’s actually switched from whole hog to shoulders themselves, leaving Scott’s-Parker standing alone in its region. 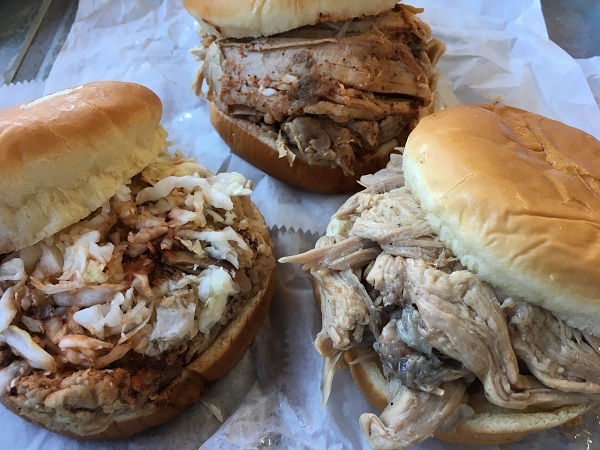 While I disagree with Fertel that only whole hog is “true” barbecue, I was certainly fascinated and curious, but not absolutely sure when we could get to Lexington to try this place. We’d only seen this stretch of I-40 just once, at night, when we drove from Memphis to Nashville in 2010. But then we moved to Chattanooga, and I-40 became a much more sensible way to get to Memphis to visit Marie’s sister than driving through Birmingham and Mississippi. Memphis is also an hour closer to us now; it’s a little easier to justify a detour. Lexington, for what it’s worth, is barely a detour at all. If this added any more than ten minutes to the drive over some fast food place on the exit ramp, I’d be surprised. There’s absolutely no reason not to stop and get a sandwich or three. In that photo above, from left to right, that’s a chopped sandwich with vinegar slaw and hot sauce, a pulled sandwich with medium sauce, and, dry on the right, what they call a catfish sandwich. Fertel explains that catfish is “a six-by-three strap of meat embedded under the tenderloin with the shape and fleshy shade of a catfish fillet and arguably the most tender part on the hog… Because a pig only yields two sandwiches or so worth of this cut, customers were known to leave Scott’s empty-handed and hungry if they couldn’t fulfill their catfish fix.” The sauce here is very, very good, but I didn’t want to change the flavor of this rare curiosity. I was fortunate as it was to get the last catfish of the day at eleven in the morning. We were the restaurant’s first dine-in guests, but there were plenty of carry-out orders over the forty-odd minutes we were there. People love this place, both locals and tourists like us. 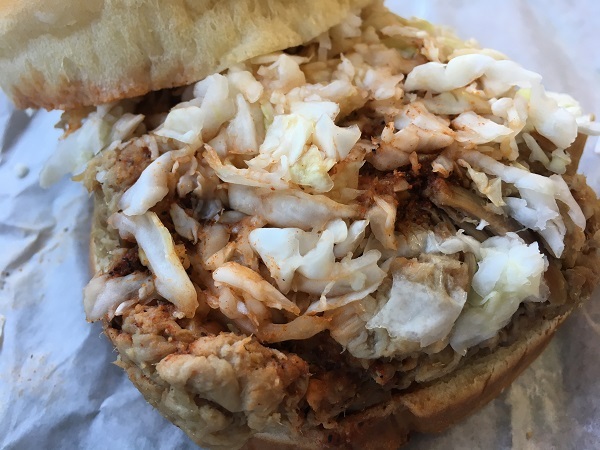 The menu’s really short – mayo or vinegar slaw, beans, chips, and potato salad are the only sides – and most people seem to order slaw-topped sandwiches rather than plates. They’re delicious sandwiches and the hot sauce is fantastic. It lived up to the hype. Deliciously, the Southern Foodways Alliance debuted a short documentary about Zach Parker called Like Father the week before our trip, from which I grabbed the frame above. I watched it twice before we left. Scott’s-Parker is about three and a half hours from our place, maybe ninety minutes from midtown Memphis. Unless you’re in west Tennessee, it’s a pilgrimage, but one that everybody who loves this hobby should find time to take. Posted on May 5, 2017 by Grant G.Posted in barbecue, jackson, tennesseeTagged barbecue, jackson, lexington, tennessee.